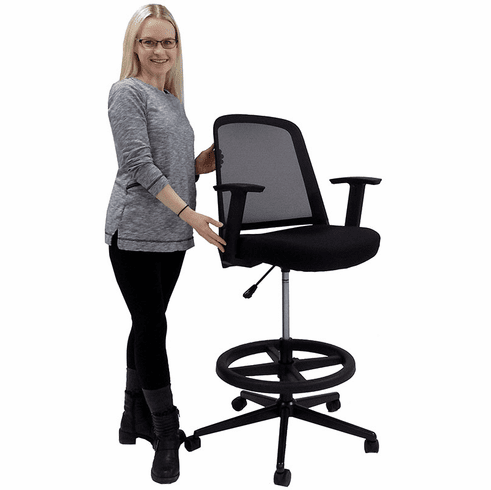 This versatile adjustable height stool provides an extended seat height range of 22" to 31" to accomplish a variety of office tasks. Use at adjustable height desks, standing reception desks, standing height conference or bistro tables. Mesh back design is not only attractive but breathes to keep you cool. Exaggerated lower lumbar area for good posture. Seat does not tilt giving the user a safer and more stable seat at drafting height. * Gas lift seat height adjustment from 22" to 31" high. 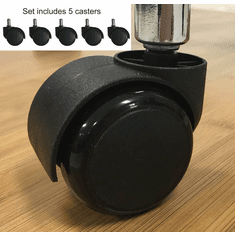 * Adjustable height T-shape armrests with urethane arm caps are durable yet easy on the forearm. 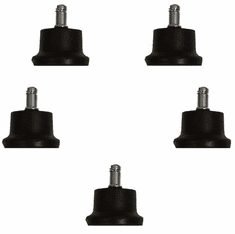 * Adjustable height 20" diameter metal footring with plastic cap. 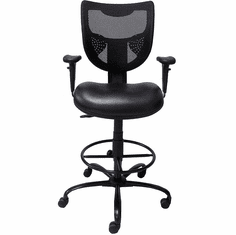 * Breathable mesh back and stain-resistant seat material. * 3" thick upholstered seat. Proportioned for the small to medium size user. Tested for users with a maximum weight of 250 lbs. Need a heavier duty drafting stool for all day or intensive use applications? Our Heavy Duty 400 lb. 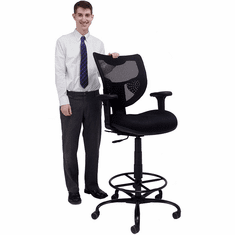 Capacity Mesh Back Drafting Stool is sturdy, durable and comfortable! Seat measures 20"W x 17"D x 22"-31"H. Back measures 19"W x 19"H above seat. Measures 24"W x 23"D x 40"-49"H overall. Shpg. wt. 36 lbs. Ships unassembled. Meets CA fire foam approval. 5-Year Limited Warranty. PRICE INCLUDES SHIPPING! IN STOCK!